One person has been arrested due to "gross insider crimes". 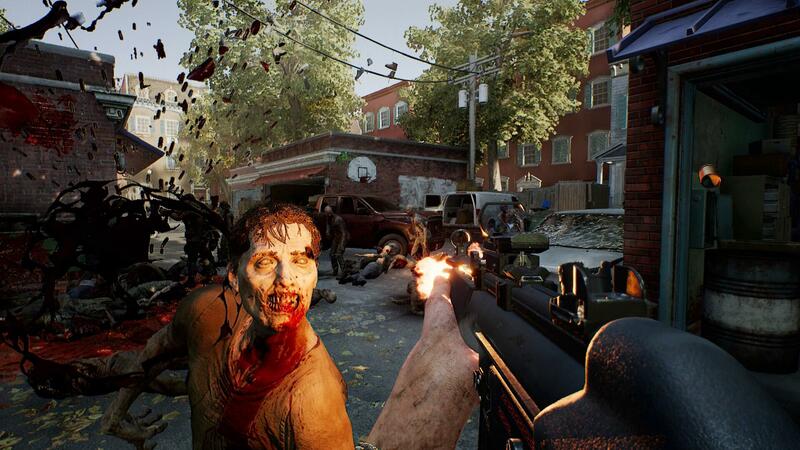 Swedish news is reporting that Starbreeze, the publisher behind the recently released Overkill's The Walking Dead, has been raided by local authorities. The reports claim that authorities have seized computers and documents, and also arrested one person. Expressen, a Swedish news publication, published a story stating that Starbreeze was raided earlier this morning by the Economic Crime Authority. Talking to Expressen, Chief Prosecutor Thomas Langrot confirmed that a person has been arrested. According to another Swedish news report from Dagens Industri, the arrest was due to "gross insider crimes." Starbreeze has been in considerable trouble for a while, and the disappointing release of Overkill's The Walking Dead did nothing to help out. The publisher has started to cut development costs in order to save the company, and the raid isn't going to make the outlook any better. It does seem, however, that this latest setback for the publisher is centred on a single individual rather than the firm as a whole. According to Expressen, Ann Charlotte Svensson, Starbreeze Head of IR and Corporate Communications stated: "The company as such is not the subject of any suspicion. The company cooperates with the ECO. The event does not affect the company of the ongoing business reconstruction." Starbreeze is still officially publishing Double Fine's Psychonauts 2. The sequel to the mind-entering platformer was due to release this year, but the delay was announced at the end of 2017. Recent events cast some doubt over the future of all projects, including support for Payday 2 and Payday 3.